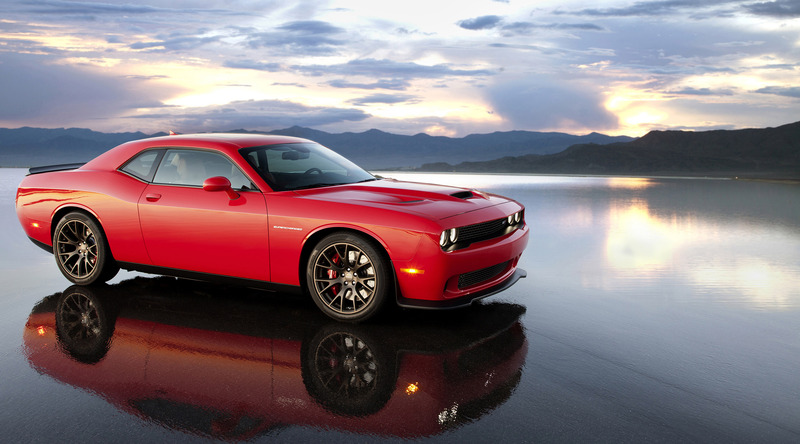 2015 Dodge Challenger SRT Hellcat is the most powerful muscle car ever created with its 707 horsepower under the hood. 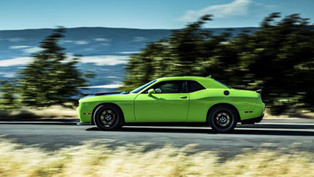 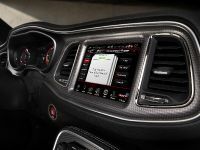 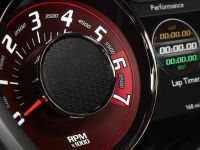 The HEMI Hellcat engine however, not only makes this Dodge model the most potent muscle vehicle of all time, but also makes it the fastest one. 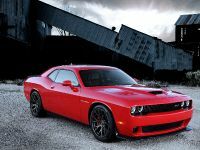 You need just to watch the video below to get sure of this. 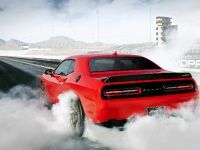 What makes it the fastest is the National Hot Rod Association-certified ¼-mile elapsed time of 11.2 seconds at 125 miles per hour. 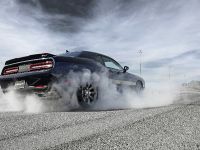 Note that the car ran on stock Pirelli P275/40ZR20 P Zero tires. 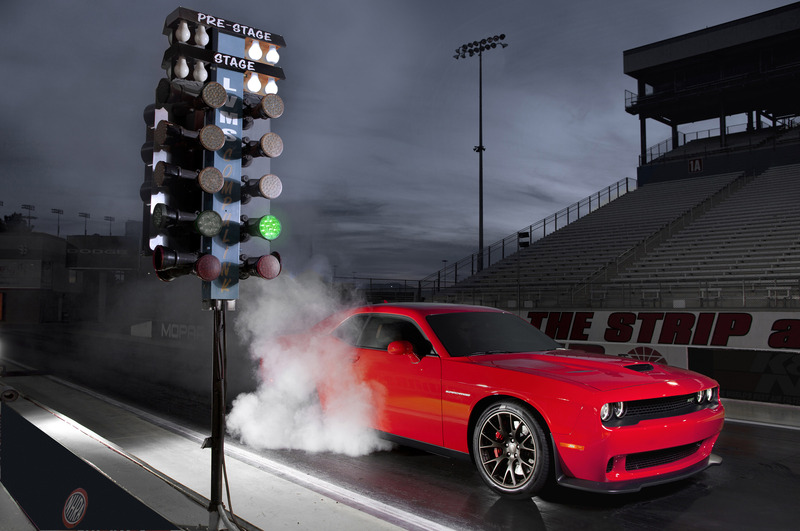 With drag radials, the run was even faster: just 10.8 seconds at 126 mph. 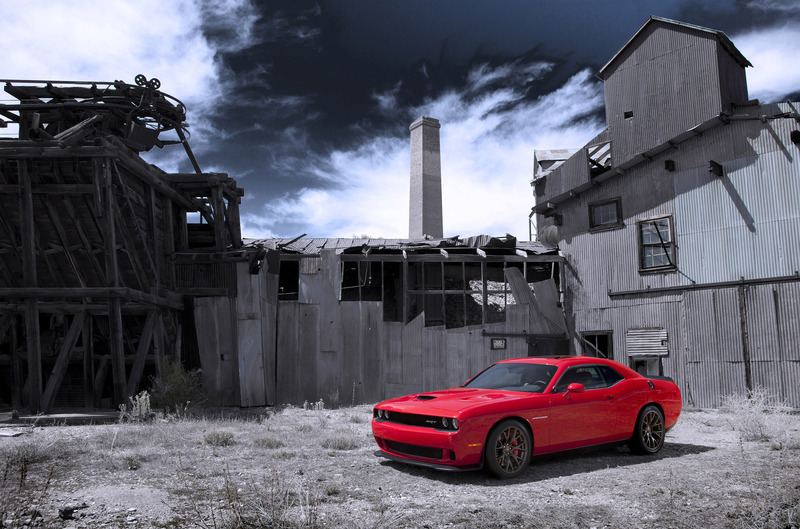 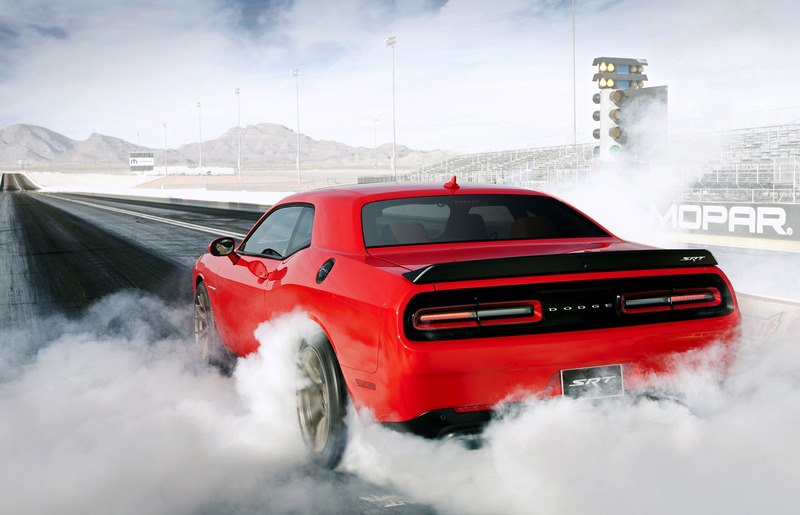 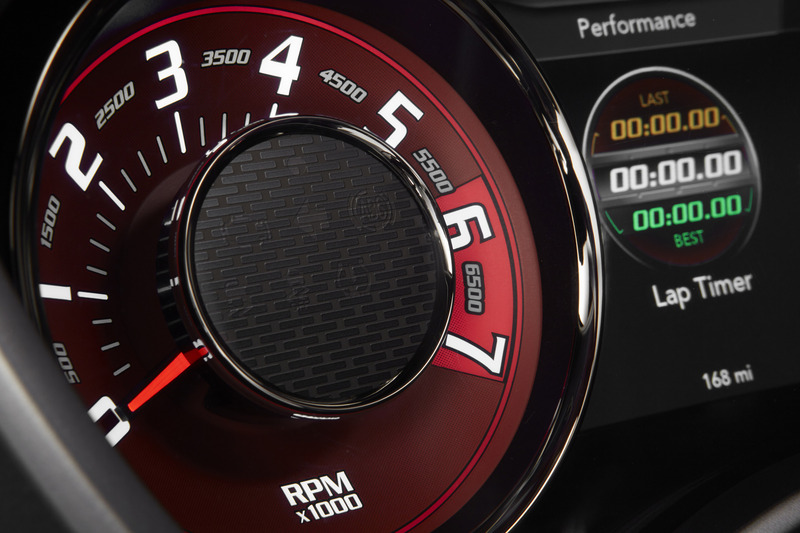 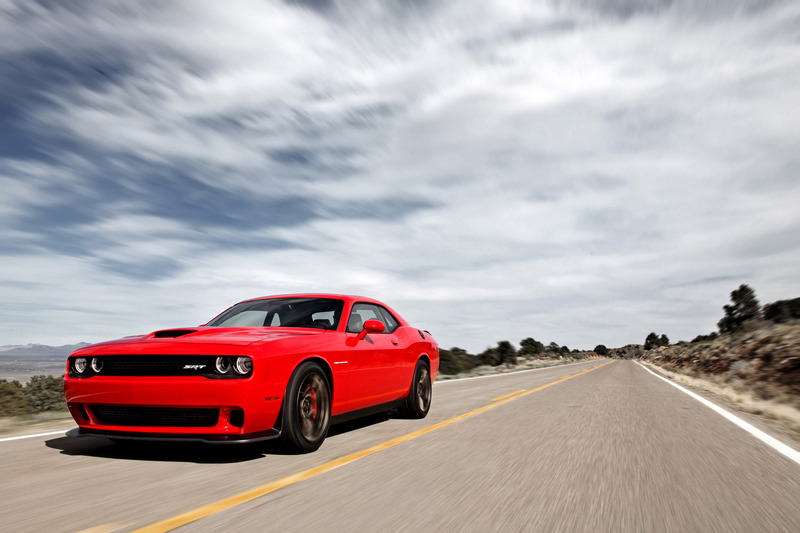 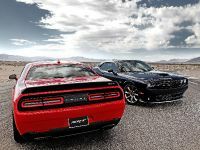 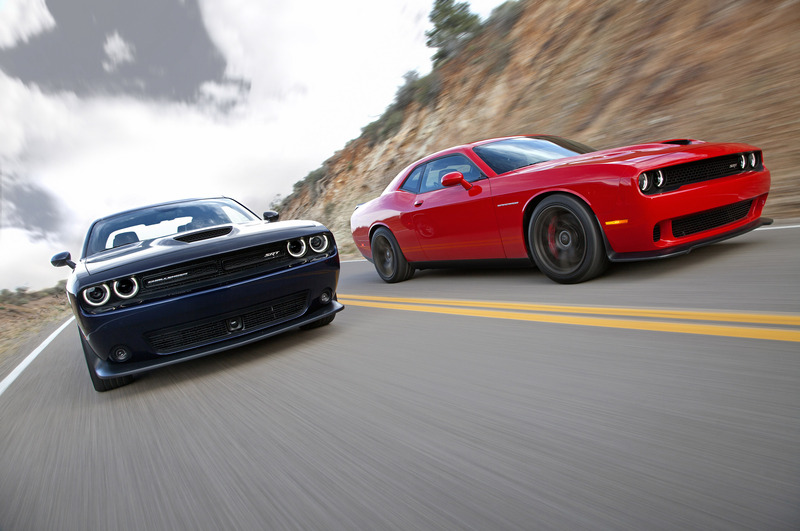 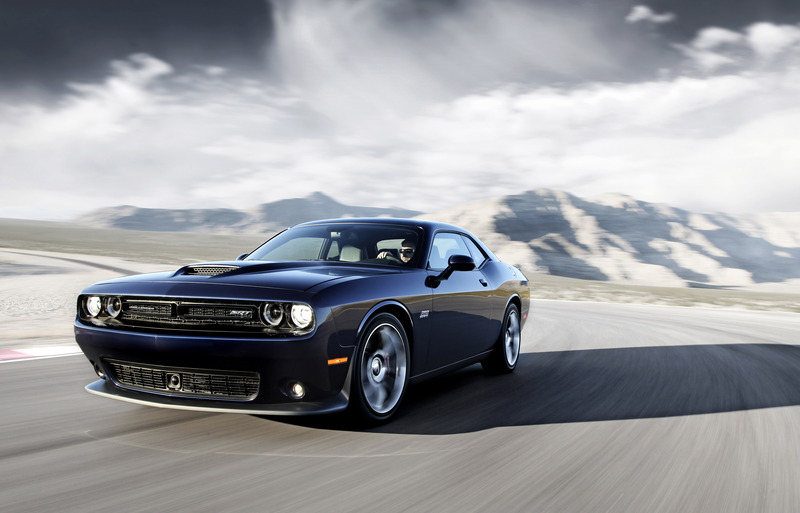 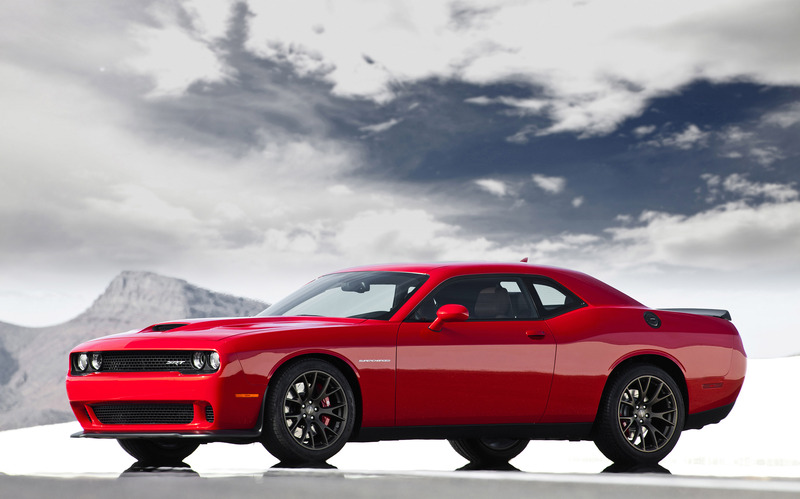 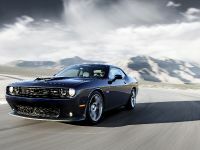 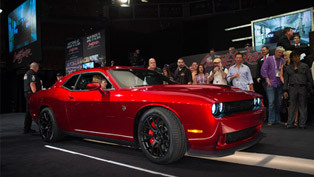 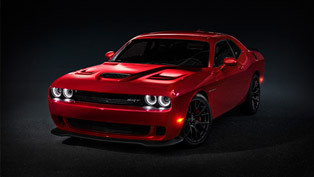 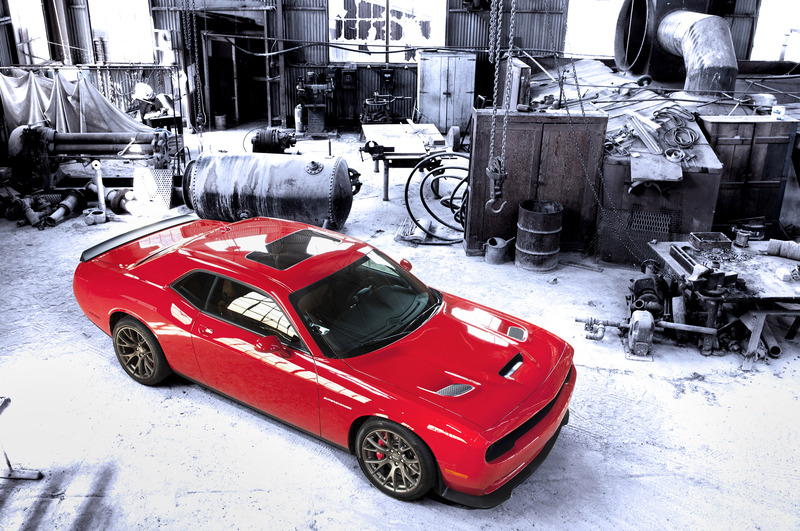 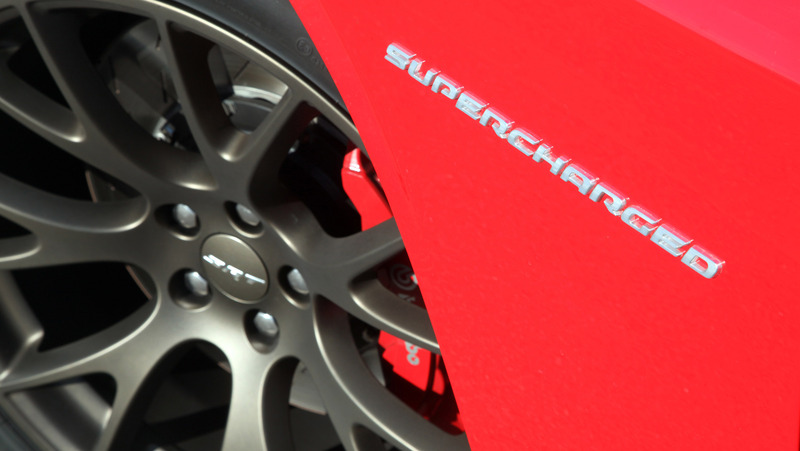 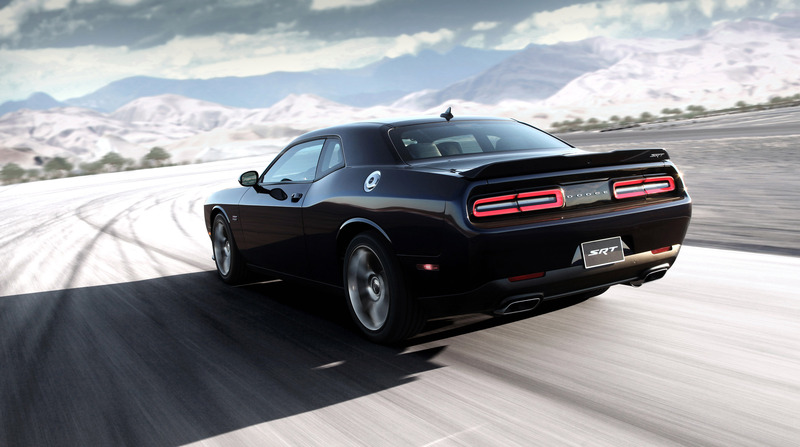 Challenger SRT's HEMI Hellcat engine delivers an unprecedented 707 horsepower (520 kW) and 880 Nm (650 lb.-ft.) of torque. 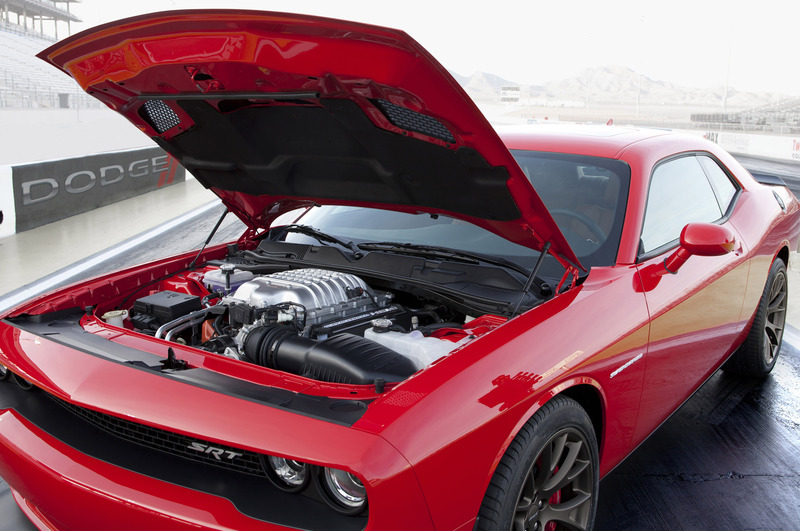 This engine is the first factory supercharged HEMI. 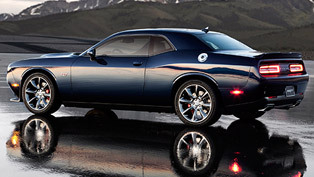 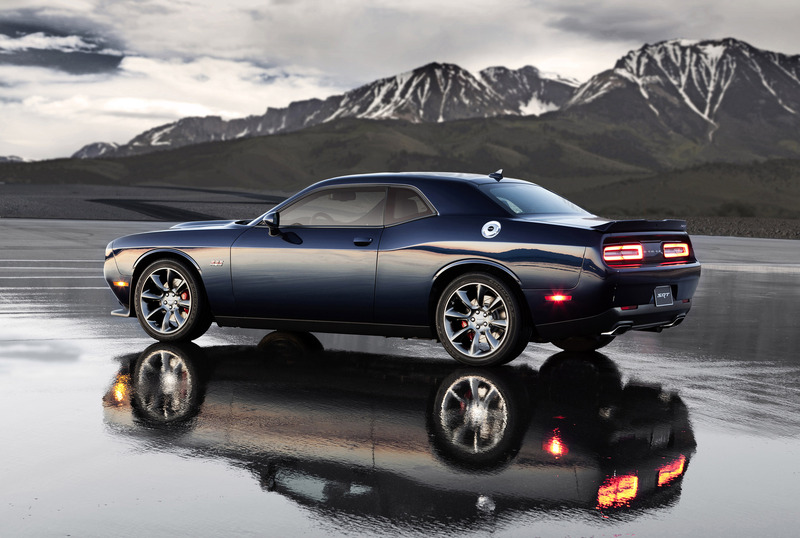 In fact, not only the unit is new in the 2015 Challenger. 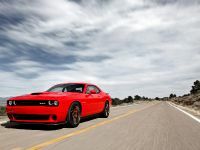 It has been entirely redesigned and reengineered in order to be an embodiment of the most true-to-form muscle coupe on the market. 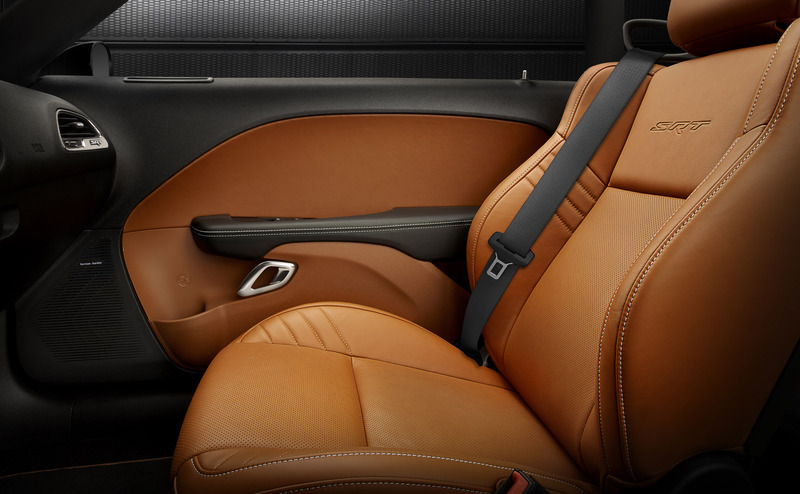 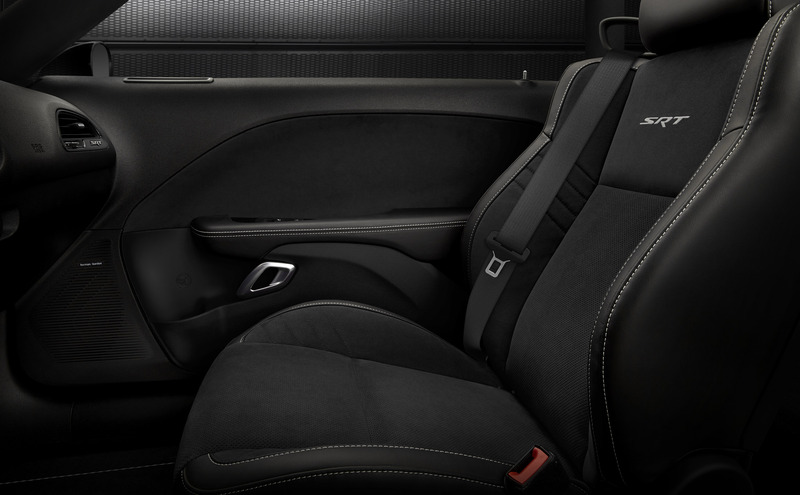 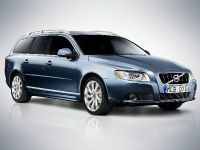 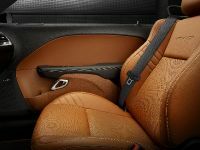 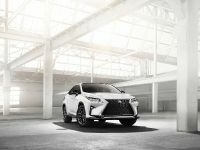 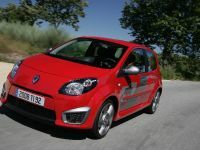 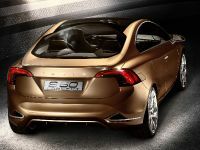 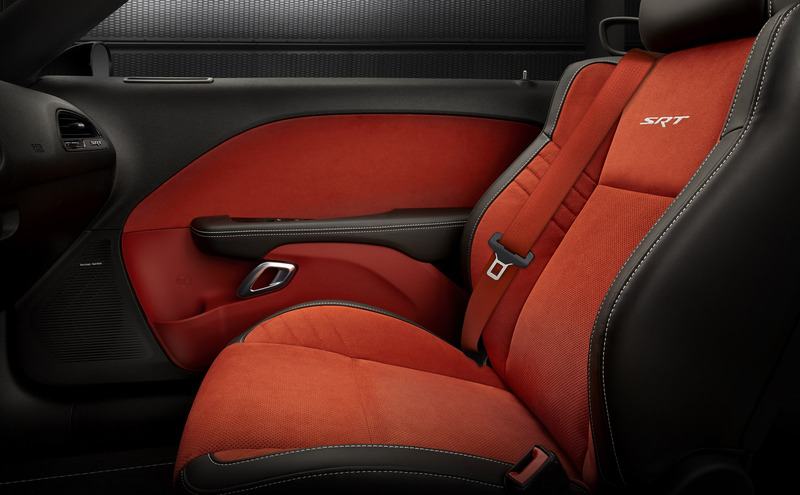 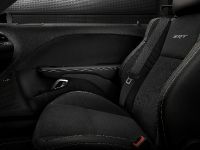 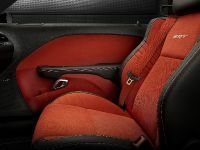 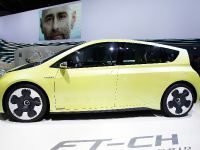 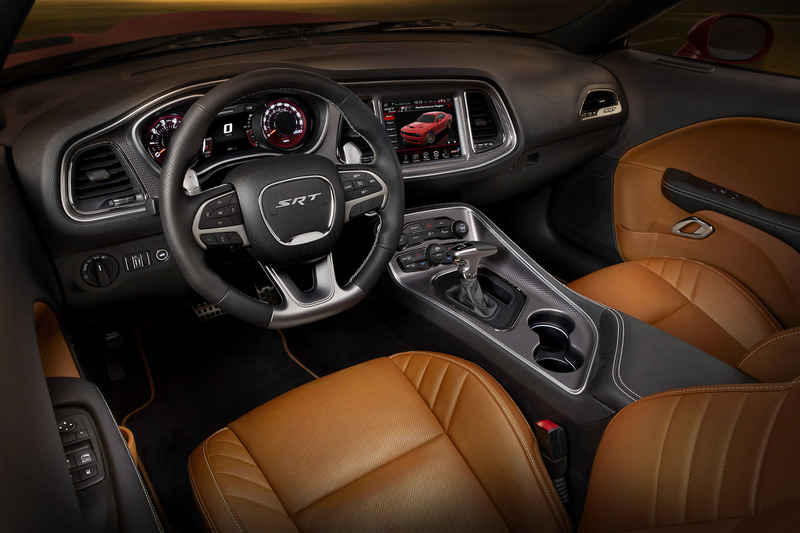 It features performance-enhancing technologies throughout the interior as well as exterior. 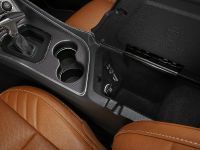 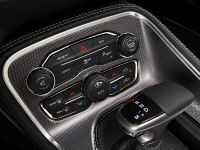 Such are for instance the TorqueFlite eight-speed automatic transmission and the new interior design that was inspired by the classic 1971 Challenger. 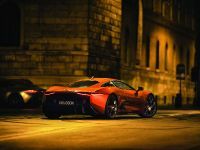 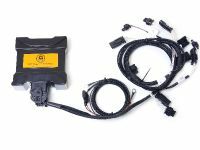 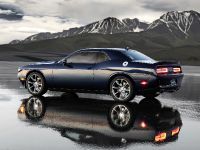 The exterior of the muscle car is distinguished by the dual air extractors, the hood in standard body color or in Satin Black, Air Catcher inlet port, quad projector headlamps, the integrated projector fog lamps and larger front splitter. 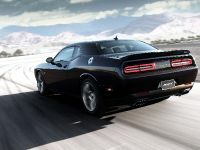 At the sides there have been added "SUPERCHARGED" fender badges, while at the rear the tail lamps include new signature LED graphic. 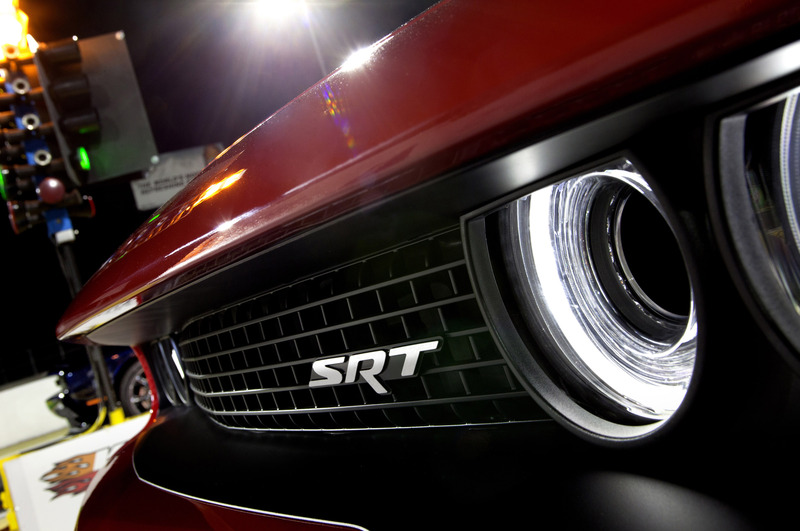 The rear spoiler is taller an features a raised SRT logo. 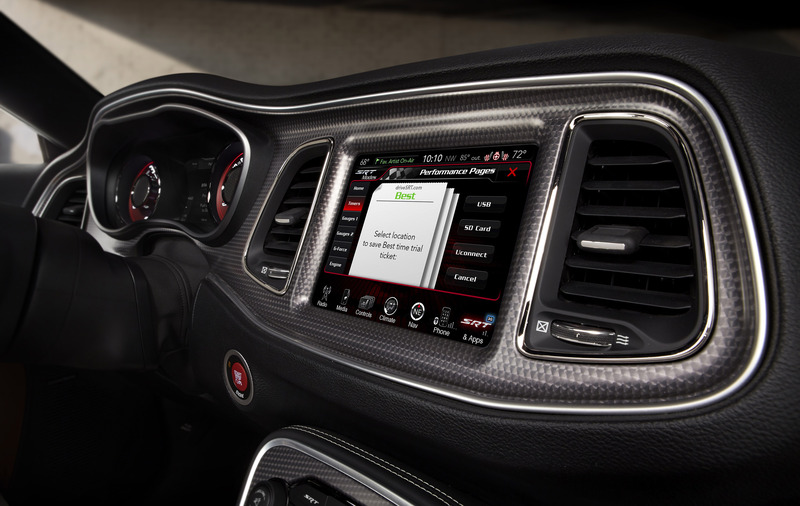 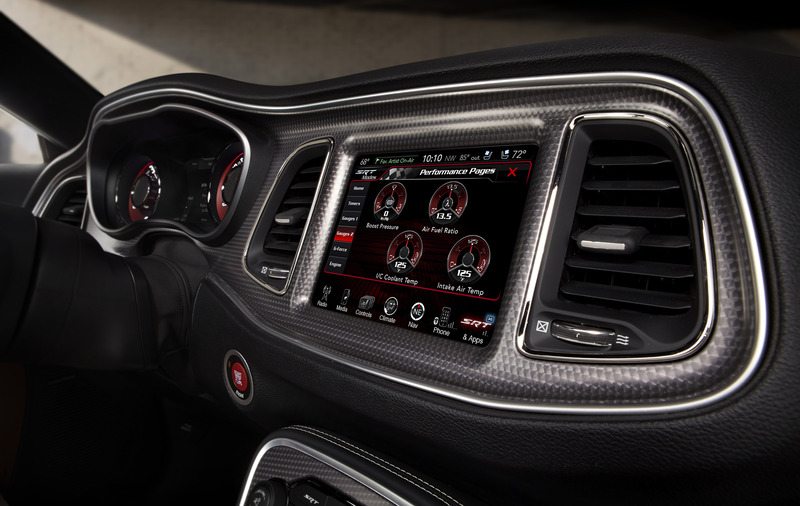 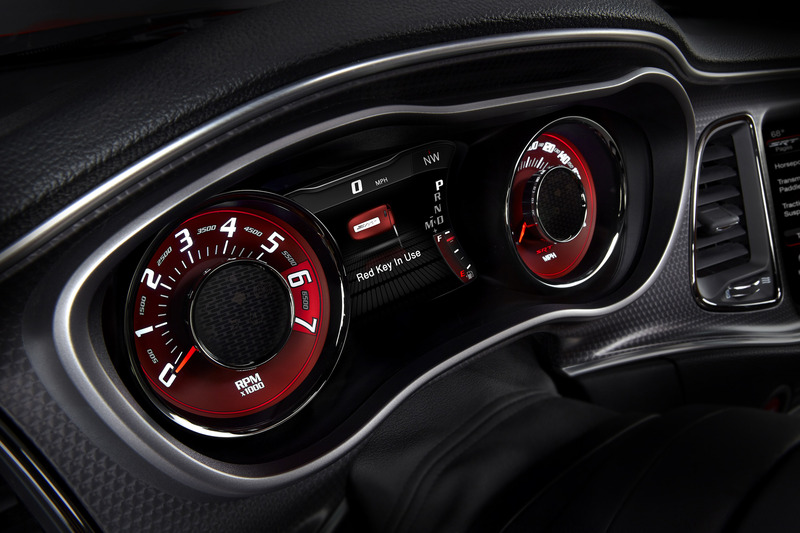 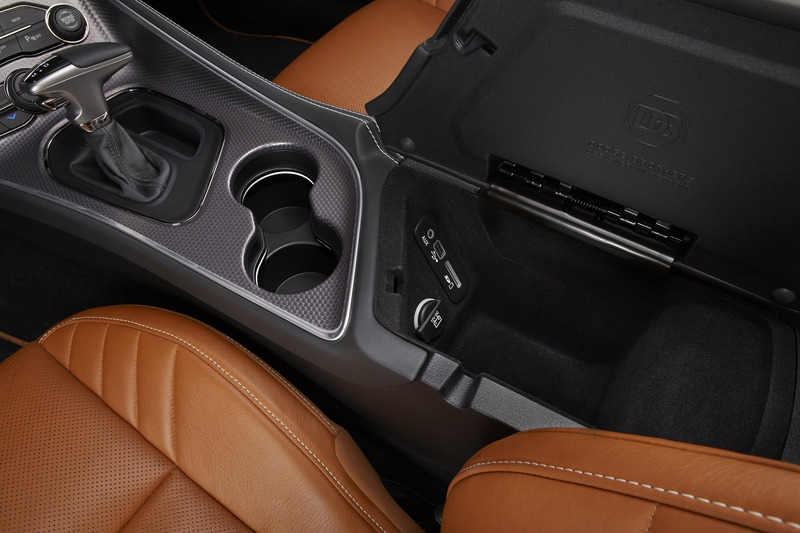 The interior comprises of stamped aluminum bezel and 7-inch driver-selectable driver information display. 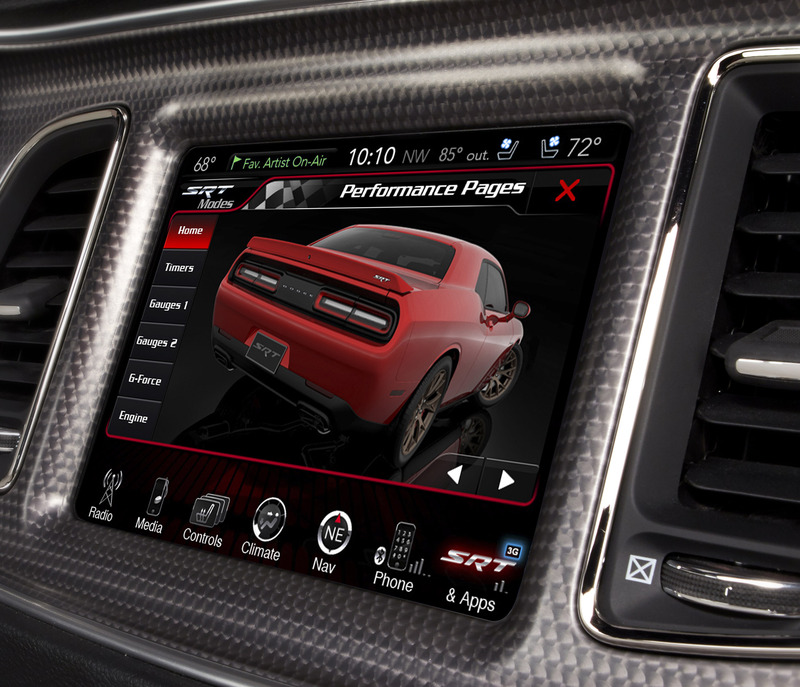 Dashboard's center stack houses 8.4-inch Uconnect touchscreen. 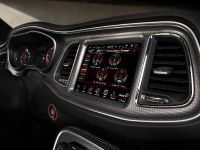 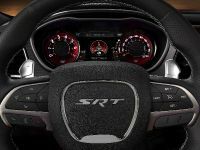 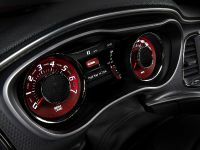 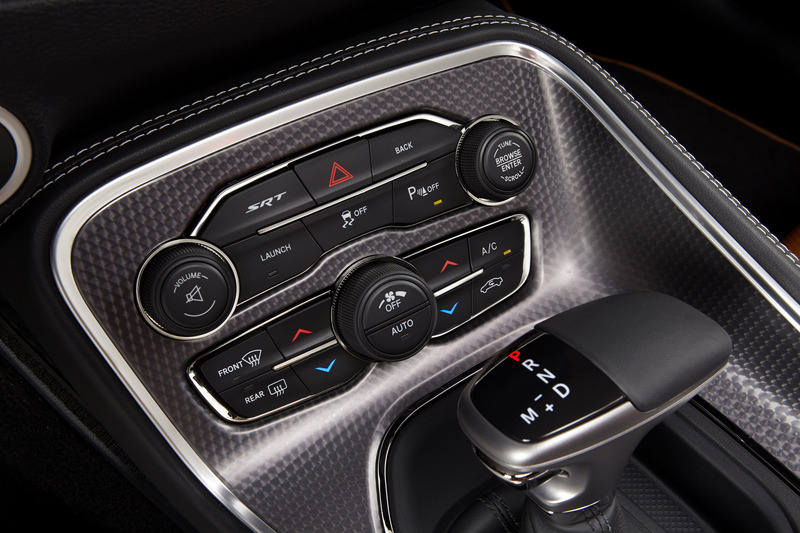 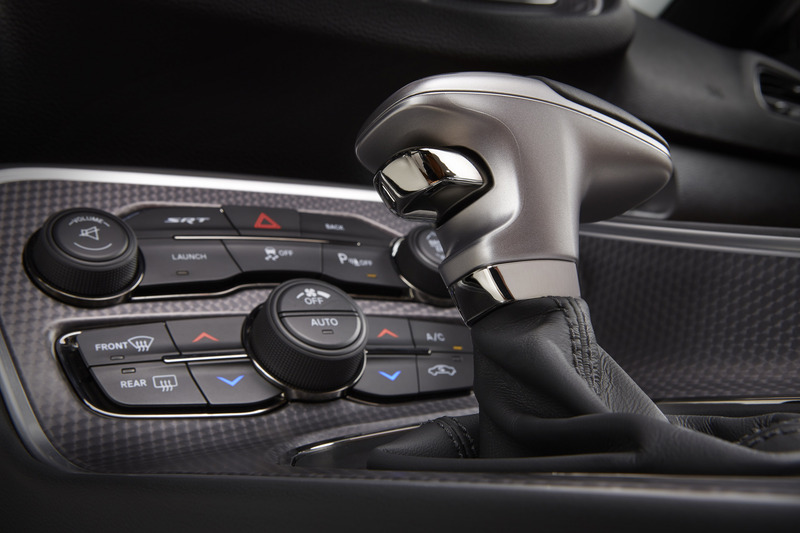 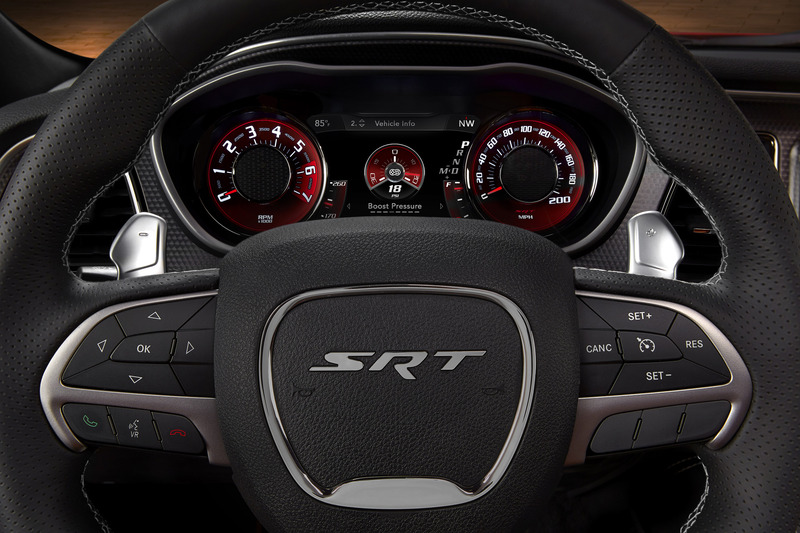 There are also SRT-branded heated steering wheel with paddle shifters, refreshed seats with improved cushioning, heated and ventilated front seats covered in Nappa or Alcantara leather and featuring SRT logos as a standard. 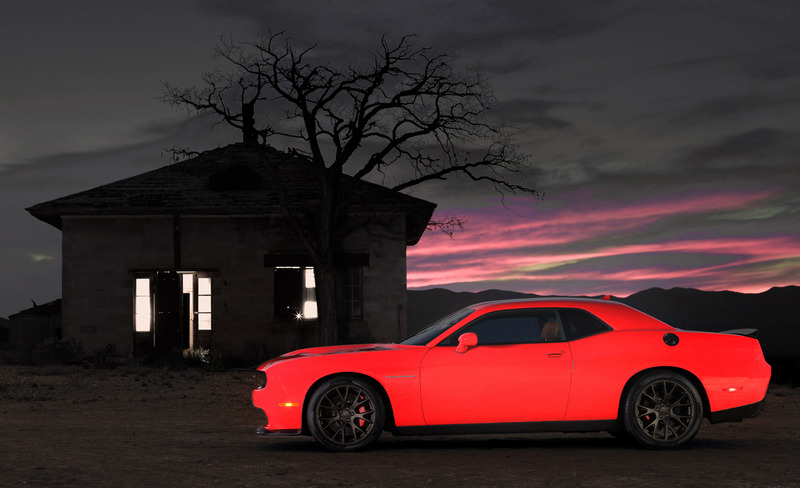 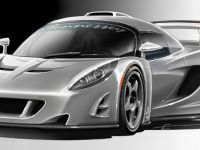 This new Dodge raises the bar to a level we have thought we'd never see. 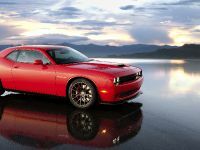 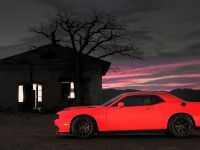 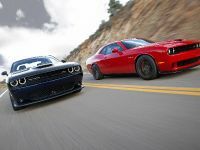 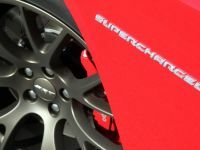 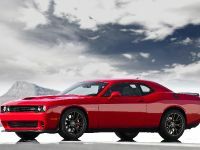 The Challenger SRT Hellcat reaches deep into company's history and brings back the notion from the muscle car era of the street and strip dual-purpose car. 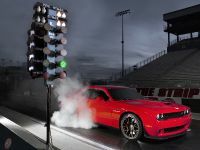 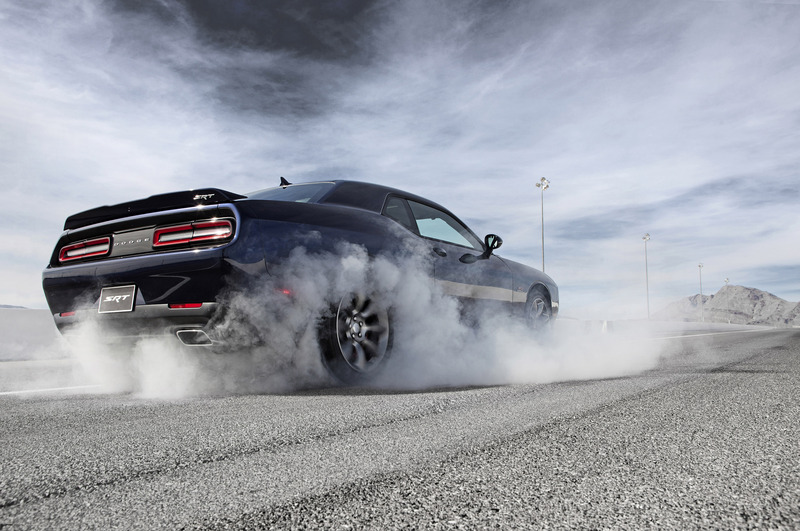 The Challenger is now capable of running 10s on the drag strip, and this makes it the ultimate GT muscle car. 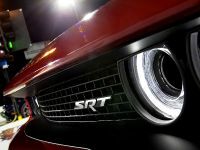 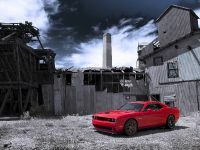 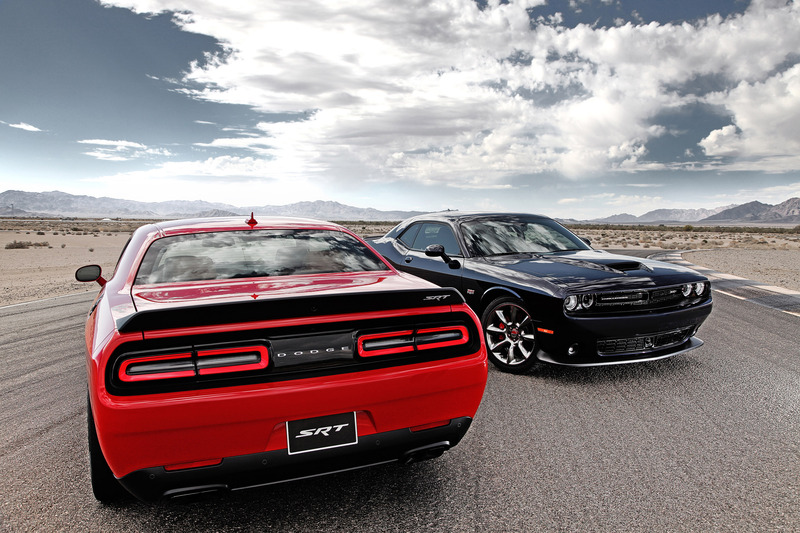 2015 Dodge Challenger SRT will have a production start in the third quarter of 2014.